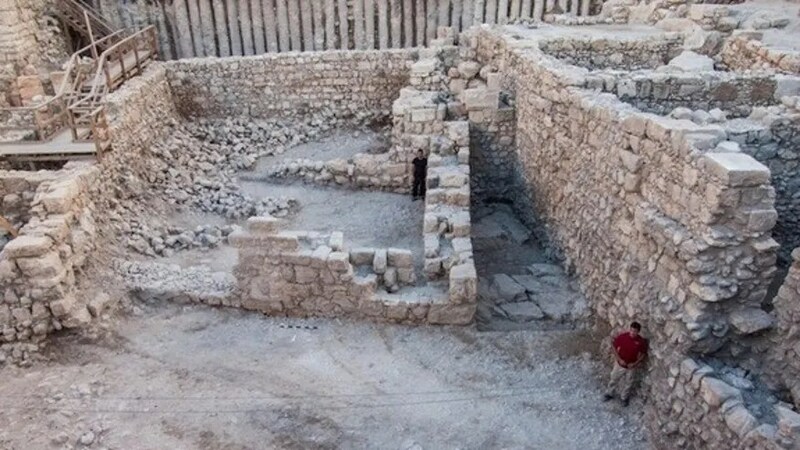 Archaeologists have discovered the first ruins of a building from the Hasmonean period in Jerusalem, filling a gap in the ancient city’s history, the Israeli Antiquities Authority (IAA) announced. The building’s remains were uncovered during an extensive dig at the Givati Parking Lot, located in Jerusalem’s oldest neighborhood, the City of David. Excavations over several years at the site have turned up some remarkable finds, including a building from the Second Temple period that may have belonged to Queen Helene, a trove of coins from the Byzantine period, and recently, a 1,700-year-old curse tablet in the ruins of a Roman mansion. Flavius Josephus recounted Jewish history and the Jewish revolt against the Romans in his first century A.D. books “The Jewish War” and “Antiquities of the Jews.” Some archaeologists have used his texts to guide their work and interpretations. For example, excavators who recently found cooking pots and a lamp in an underground chamber in Jerusalem think these objects could be material evidence of Josephus’ account of famine during the Roman siege of the city. IAA officials said the Hasmonean building has only come to light in recent months, adding that the structure boasts quite impressive dimensions. It rises 13 feet (4 meters) and covers 688 square feet (64 square meters) with limestone walls more than 3 feet (1 m) thick. Inside, the excavators found pottery and coins, the latter of which helped them determine the age of the building. IAA researchers think construction on the building began in the early second century B.C. and continued into the Hasmonean period, when the most significant changes were made inside the structure.